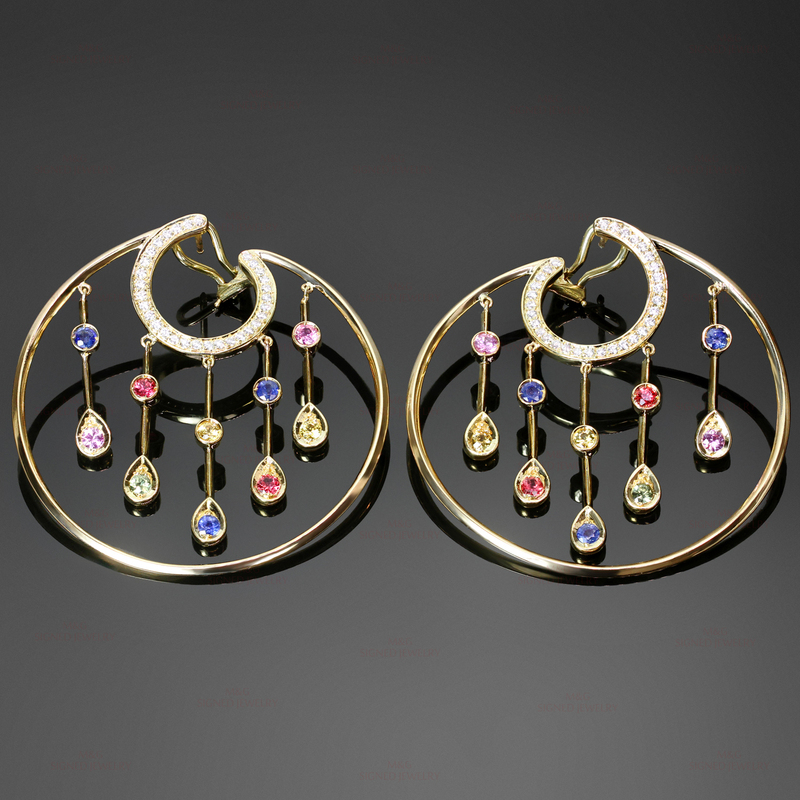 These gorgeous 18k yellow gold hoop earrings from the La Pluie collection by Chanel feature a circular design accented with dangling drops and are set with brilliant-cut round diamonds of an estimated 0.60 carats and colorful faceted round sapphires of an estimated 2.35 carats. 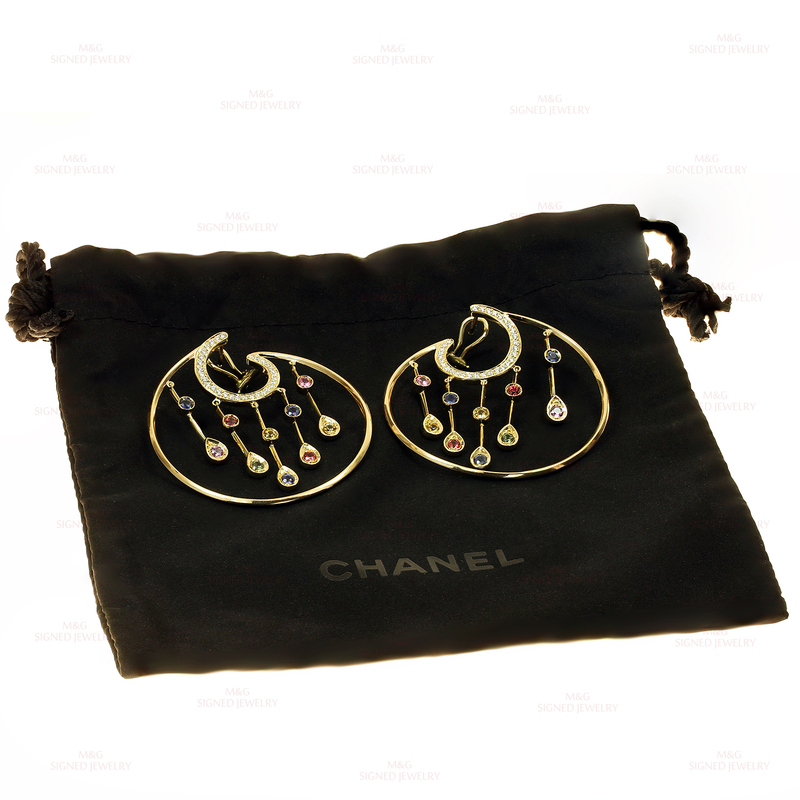 The custom-made post clips were done by Chanel as a special order. Made in France circa 2010s. Condition: Excellent condition. Comes with original pouch and paperwork.